G and I have read 4 new books in the last few days. They are all by the same author who has asked us to do some reviews for her. He was very excited to do so. They are all by Allt Nathaniel so...I guess we will start with the first one. Book #1 Dancing With The Sun This book is free for your Kindle here. G gives this book 3 stars because it is a "girls book." I told him that there is no such thing as a girls book or a boys book he seems to believe me for now. 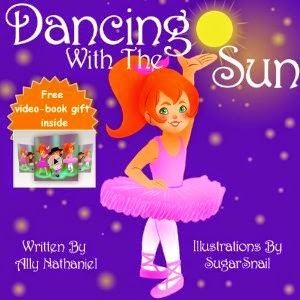 This book tells how a little girl feels when she dances. Like when she dances she feels like she is flying. I told G its like when he rides his bike fast he feels like he is flying. He figured it out after that. 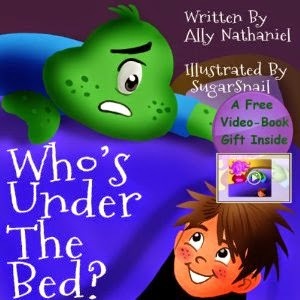 Book #2 Who's Under The Bed This book is $1.00 for the Kindle here. G and I both give this book 5 stars. The story is about a monster afraid that a child is under his bed. We thought it was cute and funny the things the monster was scared that the child might do to him. It all works out in the end so don't worry about the monster. This book is so worth the $1 it costs. Book #3 My Snow Day this book is $0.99 for Kindle here. G and I are now anxious of the snow to start falling here in MN because he wants to make a snow person with his brother and sister. He figures that K and him will do most of the work and Z can help decorate it. This book is about siblings actually working together and helping each other to make a snow woman. I wish my kids would learn to work together instead of fighting. G and I give this book 4 stars. Book #4 Sparkly Me this book is also $0.99 for your kindle here. G and I gave this book 4 stars as well. He thought that this was girly at first too but I told him to keep reading and see what he thinks at the end. He changed his mind after he finished. 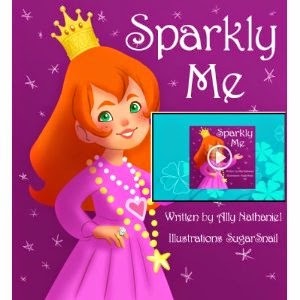 This book is wonderful it teaches kids that your "sparkle" is in you not something that you put on or carry with you. It has some bad reviews on amazon but don't let that make you turn away from this wonderful book. All 4 books that we read he has now read 3 times because he enjoyed them so much. If you are looking for books to read to your children G and I recommend and of these especially the second one (Who's Under The Bed) for a dollar how can you go wrong? If you read any of these books please let us know what you thought of them. Cindy & G I received one or more of the products mentioned above for free using Tomoson.com. Regardless, I only recommend products or services I use personally and believe will be good for my readers. Great review, G! I love it!